Really great journalism, with history meeting the sounds of the present day. I wonder if this story is still strong in the minds of Parisians? Thanks Jay. I suspect that few passengers passing through Couronnes station today either know or think about this disaster. 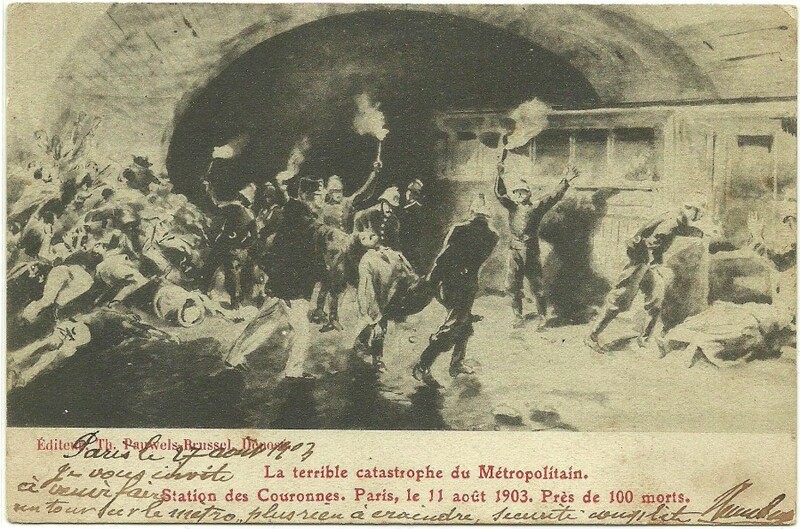 It did though have a profound effect on the safety of the Métro. So if the current passengers don’t think about it, they certainly feel the effects of it. It’s amazing that back then the very first thing on commuters’ minds seemed not to be to get onto street level as quickly as possible. I also find it intriguing that in contrast to the Paris Metro, most of the major incidents on the London Underground in the past were related to collisions. This is an amazing post! I had no idea this happened. I just returned to the US after four years of living in Paris. I lived near M° Jaurès. 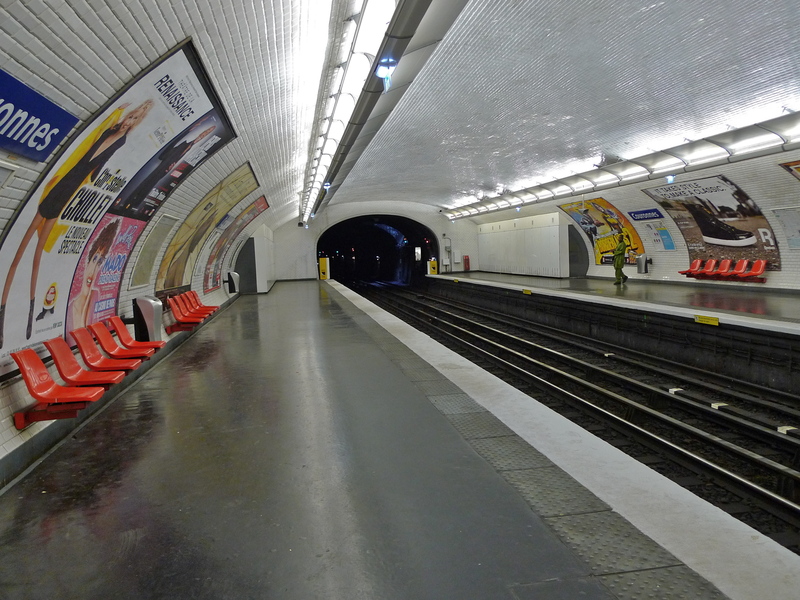 I used to go to the Couronnes station often between 2009 and 2011 because my yoga class was nearby — I stood on that platform many times. I never knew there were possibly the ghosts of those who died in such a terrible accident. I am very thankful for the safety measures that were put into place as a result. 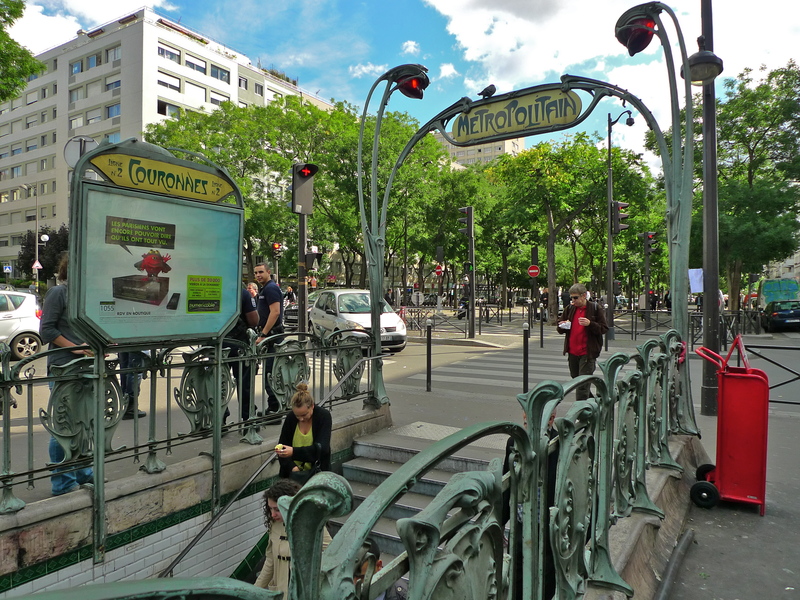 The Paris Métro is incredibly safe, and I always felt secure on it (except for the occasional drunks and one SDF in particular who had soiled himself on the car on Line 3. Ugh. I’ll take that over disaster, though). I could not bring myself to listen to the recordings, yet. I miss Paris and I know it will make me cry, and I don’t want to at the moment! But I certainly will. I am following now, and I think this is an incredible project! 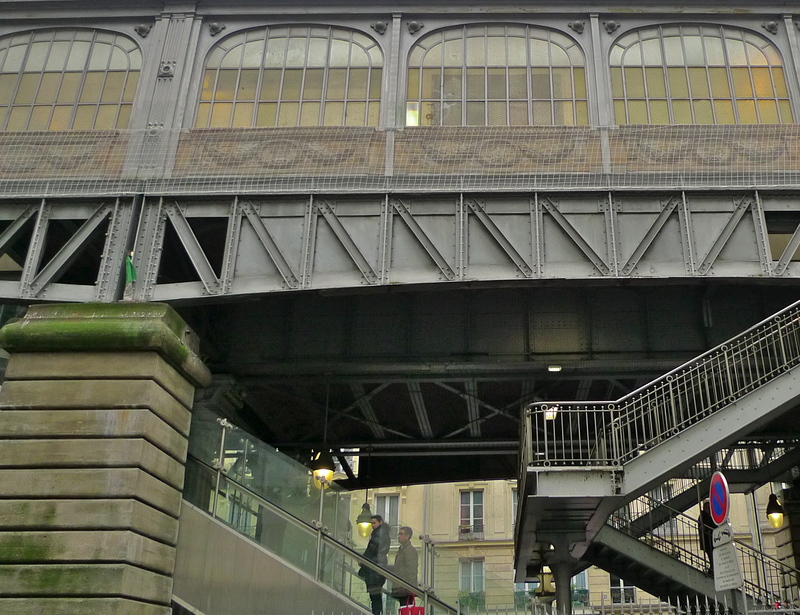 Just FYI, my husband, who is still living in Paris (long story) has a blog on WordPress called “Paris By Cell Phone.” Check it out, if you feel an inclination, and want to have another potential follower. He’s good about reciprocity with people who take time to comment on his blog! Oh yes, I got here because another Paris blogger with whom I am connected on Facebook posted about the old station entrance at M° Bastille. I wanted more info, so I Googled it. For some reason, Google image search picked up one of the photos in this post, and I was curious, so I came to visit. I am so glad for this serendipity. This post, while tragic and sad, really is also quite interesting, and very well-composed. Thank you! P.S. Oh! I see you have Paris (Im)perfect linked in your blogroll. Sion is one of my dear friends in Paris. 🙂 And Forest Collins of 52 Martinis, too! She is a hoot. Yes, I know both Sion and Forest. If you would like to listen to Forest speaking you might like to take a look at this: https://soundlandscapes.wordpress.com/2012/02/05/paris-a-personal-view-3/. I’m sure it will back many happy memories for you. Thanks for the intro to Katia at The France project, I’ll contact her and mention your name. Thanks Karin. I’m so pleased that you like what you’ve found here and thanks for following me. 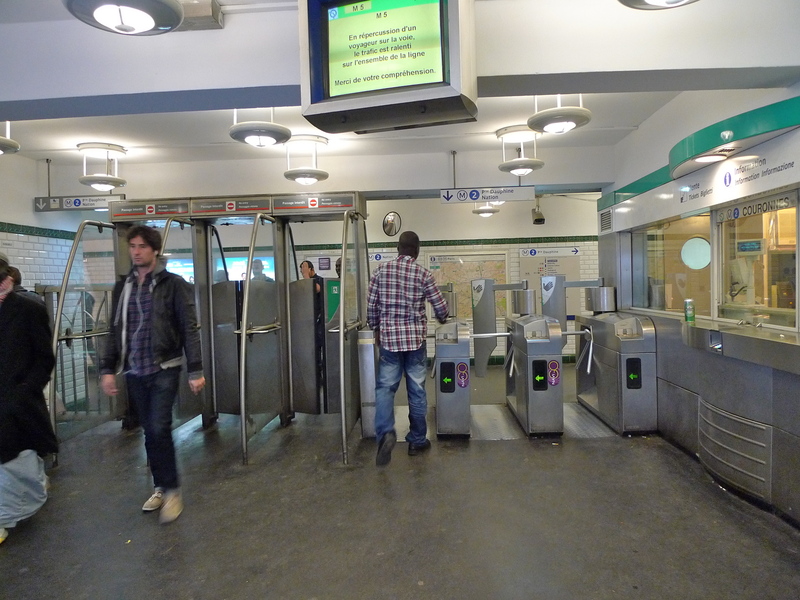 Since you used to live near the Jaures Métro station you will be pleased to know that I shall be publishing a piece about it in the coming weeks. As for Couronnes, it was a terrible disaster but the lessons were learned almost immediately and nothing like it has happened since. I doubt that most of the people who use the station today have any idea of what happened there in 1903 but, part of the magic of this wonderful city is that there many hidden stories that underpin everyday life. Finding them is like uncovering hidden treasure. I shall look up ‘Paris by Cell Phone’ – thanks for the tip. I do hope it won’t be too long before you return to Paris and, in the meantime, I wish you bonne année et bonne santé and all you wish for yourself in 2013. 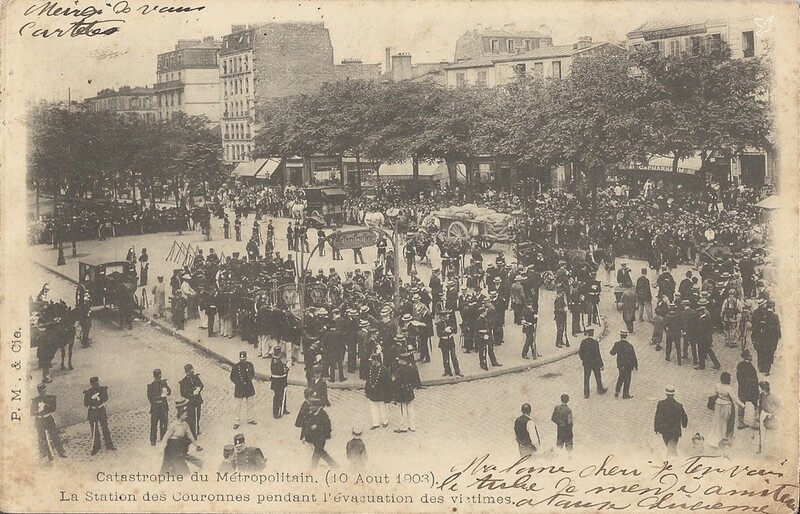 Since you used to live near the Jaures Métro station you will be pleased to know that I shall be publishing a piece about it in the coming weeks. Yes! Excellent! I will love to see that. I’ll keep my eyes open in my WordPress Reader for it. Well, whether I can get back to Paris soon or not remains to be seen, but “I’ll always have Paris.” Thanks to sites like yours with excellent photos and information, I can always feel I am present there. Happy 2013. See you ’round the bloghood! Thanks for such a detailed account of this story; I never knew exactly how it played out. 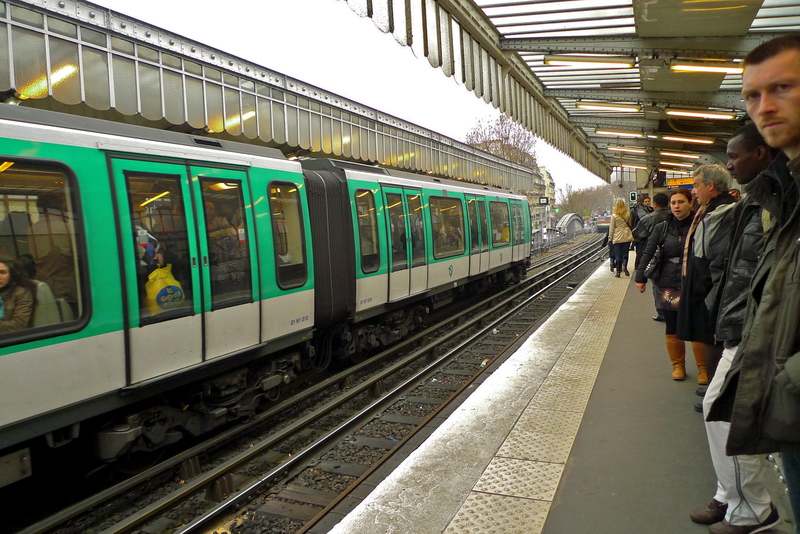 While not a disaster per se, have you heard about the murder of Laeti­tia Toureaux on the métro in the 1930s? Another intriguing story worth Googling if you’re not already familiar with it. Thanks for this great and informative post, I appreciate how you always acknowledge the historical significance of the spots you visit. Thanks Corey. Yes, I’ve heard of Laetitia Toureaux and her murder on the Métro. At first sight it seems to be the perfect murder for which no-one was ever arrested – or, it could be the perfect cover-up. At any rate, it’s an intriguing story.